Having to reduce audio noise can be a real pain. And recording clean audio can be tough, especially in noisy environments. Whether it’s background noise or less-than-ideal equipment, sometimes you end up with hissy audio. Luckily there is a free method to make your track easier on the ears. There is one tip that will help immensely with this process. If you are the one responsible for your recording, remember to record at least 10 seconds of “room tone”. Room tone is simply a few seconds of recording the natural noise of the environment in which you’re recording (with no talking, nail filing, heavy breathing, etc.) Even if you can’t hear anything, a sensitive microphone will pick up ventilation noise, computer fans, and more. Taking “room tone” will serve as a baseline for the software to remove noise. Having a section of room tone in your recording is always a good practice but if you know you’ll be needing to do noise removal later definitely don’t forget! If you don’t have control of the recording process you can still usually find a bit of room tone in a recording. You can find room tone in a break between takes or time at the beginning or end of the file where nothing much is happening and usually that’s enough to work with for noise removal purposes. So how is noise removal actually done? 1) Select your room tone by dragging your mouse over an area with no (or little) audio. 2) Under the effect menu select noise reduction. 3) Click “Get Noise Profile”. The box will disappear. 4) Click on the timeline once more to clear your selection. 5) Under the effect menu select noise reduction once more. 6) Click preview to hear the default noise removal settings. Depending on your room tone and original audio, these settings may work. 7) If you still hear noise, adjust the sliders and preview again. Noise Reduction: Controls the amount of reduction of your noise volume. Sensitivity: Controls the range of what noise removal considers noise. The higher this goes the more your actual audio (such as voices) will be affected. Frequency smoothing: The default setting is setting is 3, settings lower than this tend to favor music and higher settings tend to favor spoken word. 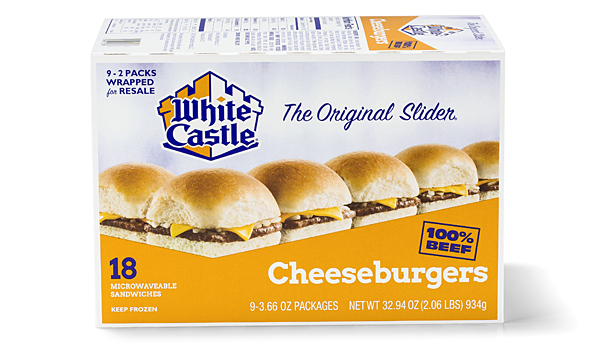 I’ll tell you the same thing I tell my Uncle Mike when we go to White Castle: Go easy on the sliders! Small changes can make a big difference. Reduce and residue buttons: Reduce is what you’ll want for a good preview. It plays what the audio will sound like with noise removed. If you want to hear exclusively what the noise reduction is taking out, select residue and click preview. Audacity is great for cleaning up audio for a podcast or music. But for vocal tracks in video, it’s time consuming to export your audio tracks, clean them up in Audacity, and re-sync your audio and video again. It’s not impossible but it’s not the most efficient way to remove noise, especially if you’ve already cut up your clips in the timeline. The sensitivity slider in Camtasia works the same as in Audacity. The “Amount” slider is equivalent to the Noise Reduction slider in Audacity. By removing noise on the timeline you save the trouble of importing and exporting back and forth from an external program like Audacity, and it’s much easier to make changes quickly. There are other programs with similar processes such as Adobe Audition and the very powerful Izotope RX5. These programs edge into the professional realm of audio tools and allow you to go much further with audio sweetening if you’re willing to put the time and money in to learn them. Just remember while software continues to get better at saving audio, doing everything you can to minimize noise in the initial recording will always be your best bet. Free Trial: You can try any of our screen recorders for free. Get everything you need to record on your Windows, Mac, and iOS devices. Editor’s Note: This post was originally published in 2016 and has since been updated for accuracy and comprehensiveness. Thank you. This is good information about clean audio. Is this in repsonse to Camtasia 9’s horribly implemented noise reduction? Now it seems i have to split out my audio, export it as a wav, bring it into Audacity (or similar) run noise cancelling and then bring the updated audio track BACK into Camtasia Studio. I hope this gets corrected soon. Can you show the steps of how to use the Camtasia noise removal tool? The gif is not the greatest quality, and it took me a while to figure out how to make it big enough to see what’s happening. You’ve actually explained the Audacity process better than the Camtasia process here. Audacity just saved me from white noise!